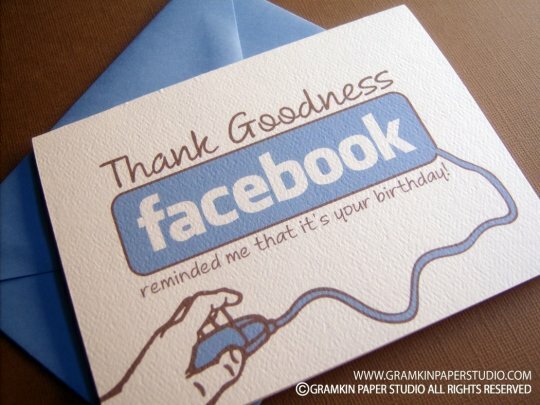 I've several times heard people complain or down play getting "Happy Birthday" wishes on Facebook. Maybe they think it's insincere or maybe it's just not enough of a gesture to have any value. Having just had a birthday today, I just cannot even comprehend what these people are thinking or why sometimes they even find the wishes offensive. It warms my heart just to know that people, who I may not ever see or even talk to much, are willing to take a moment and wish me a happy birthday or leave a nice note. Maybe I'm a little too easy to please. Whatever it is, I'm glad that it affects me like it does. So if you are one of those people that remembered my birthday on Facebook, through a text, or with a call, I just want to say that you helped make my birthday a special day. Nothing means more to me than family and friends. They are the best presents ever! Love you all!